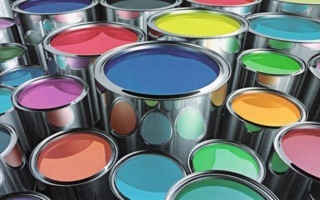 The United States outlawed the use of lead in paints in 1978. Despite mounting evidence on the dangers of Lead-Based Paint, many industrialized, educated countries still use lead in paints. As a natural element, lead does not break down in the environment. 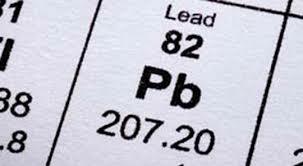 Once the lead has been dispersed and redeposited in the environment, it remains there and can poison generations, unless it is controlled or removed. Lead poisoning occurs when lead enters the body via contaminated water, by eating tainted soil, eating paint chips comprising lead, and inhaling or swallowing dust from lead-based paint especially from eroding surfaces. 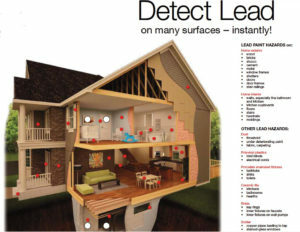 Among the methods of poisoning, lead dust from lead-based paint poses one of the greatest threats due to its subtle method of being easily inhaled, ingested, and unknowingly absorbed. It is especially dangerous to young children and pregnant women, who absorb as much as 50 percent more lead than the average adult due to the body’s inability to distinguish it during periods of stress and the body’s growth demands. If you find your home or building containing Lead-Based Paint, it is best to come up with a practical plan to deal with it by weighing all your options. You have three choices, do nothing, entirely remove it knowing that full blown removal and replacement can be extremely intrusive and expensive plus potentially the most hazardous if not done properly, and lastly the most sensible and best option is to manage it in place with long lasting green coatings. These green coatings should have all the necessary approvals for coating over Lead-Based Paint and sealing it safely and be acceptable for both interior and exterior surfaces. 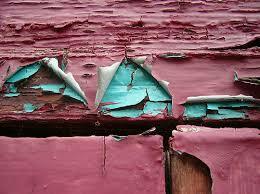 There is no law saying you have to remove old Lead in Paint. Removing Lead-Based Paint the wrong way can lead to an increase in lead dust which does not completely disappear even after cleanup. A proper, quick and simple way of handling existing Lead-Based Paint is through in-place management, specifically with green approved coatings, sometimes known as encasement or encapsulation. Encasement refers to the enclosing interior or exterior building surfaces, including hazardous materials, with accepted green coatings. With Lead-Based Paint, one has to coat over those areas to seal the hazard to keep it from being released and harming building occupants. Not only is in-place management with green, approved coatings a proper way of handling Lead-Based Paint, it is also much more economical compared with other abatement methods, such as removal and replacement. In place, management is also less disruptive of ongoing services. It does not require shutting down houses or having to occupants relocated which are costly and time-consuming. Most work can be completed in a minimal amount of time with minimal building downtime and can result in savings of anywhere from 25% to 75% over removal and replacement. An added benefit of in-place management with approved green coatings is that they are sustainable and renewable. They can rapidly reduce the harmful effects of hazardous materials on people and the environment while extending the life of buildings. Compared to other typical paints that last only a few years, green encasement coatings that are approved for sealing in Lead-Based Paint when applied at the right thickness can be assured to last for 20 years. After the end of that time, you only re-coat the surface, and the coating will cross link bond with the old coating creating a sustainable surface that can be renewed indefinitely. Approved green coatings used for in-place management of Lead-Based Paint have no environmental downside. They are non-toxic, water-based, low in VOC’s, (Volatile Organic Compounds), contain no ODS (Ozone Depleting Substances) and are Class A fire rated. They should also be backed by toxicological reports proving they are so clean they can be applied even to pregnant women and children present. Green coatings used for in-place management should also be extremely durable, durable, able to take a lot of abuse, be uniquely flexible and able to elongate with the expansion and contraction of normal building movement and be breathable to allow for moisture vapor transmission. It stands to reason that in-place management of Lead-Based Paint along with any building restoration using protective green coatings is the best and most practical way to extend a buildings’ life and safely deal with most of its components, hazardous or not, even roofing.